When I was reading reviews for André Aciman’s most famous novel, a flash of fear ran through me: did I read a different book? Did someone somehow sell me the cover of Call Me By Your Name with an entirely different novel inside? Surely I can’t be the only one who really didn’t enjoy this book! Call Me By Your Name is overrated. Firstly, I found the first half of this novel to be a slog. It just dragged so much, and I found it so tedious to read. I wasn’t expecting to be thrown straight into a first-person perspective – and a tediously existential and over-thinking one at that – but there I was trying to invest myself in a plot described by a character who, frankly, seemed to avoid describing what was actually going on. Instead, we had a wounded puppy of a novel, a 17-year-old boy fixated on an older man, his narrative a monotonous stream of consciousness – does he feel the same? Is he avoiding me? Does he only wear blue shorts when he’s in a bad mood? I’m sorry, Elio, but I don’t care. You didn’t make me care. Frankly, Elio – the narrator and protagonist – is an extremely dislikable character. Not only is he whiny and boring, but his treatment of the female characters in this novel was just plainly offensive. 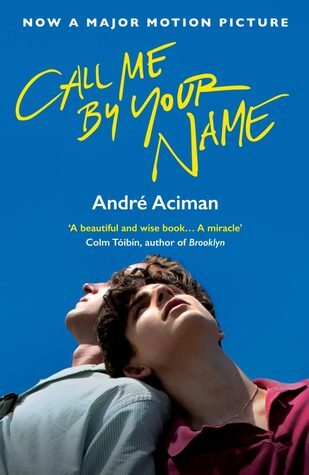 What’s more, on occasions, I could tell Aciman was trying to craft quite a ‘profound’ novel. Certainly, this novel is rich in literary and art references, and some beautifully poetic passages of prose with lavish imagery. If done well, this could have brought the story to life. And yet instead, the novel was dulled, and these allusions and consistent discussions of art actually created a certain kind of disconnect between the narrator and the author. It didn’t make for a ‘profound’ novel, it made for a lacklustre storyline with lacklustre characters, characters that were barely developed from beginning to end. As the novel progressed, I became more interested and the pace picked up. Things actually started happening. However, as we reached the half-way mark, we ran into some more issues. Some things are just downright creepy and should not be romanticized. I was very disappointed to see that Aciman did exactly that. Now, I understand that there’s an interesting premise that underpins this entire novel, an intriguing philosophical thought: is love and infatuation a desire to have someone, or to be them? However, just like there’s a difference between being liberal and being crude, there’s a difference between infatuation and a worryingly-invasive obsession. Yet I persisted. I carried on with this novel, and the last third wasn’t all that bad. I enjoyed it much more, and decided that this book wasn’t so awful after all – in terms of engagement and the plot, anyway. I still have my issues with the characters. Mainly Elio. Unfortunately, Elio at the end was the mirror image of Elio at the beginning, despite there being a 20-year gap. 20 years! And yet he hasn’t matured at all!